The Supreme Court today dismissed a petition which sought its direction to appear in NEET 2018, a national level entrance examination conducted for undergraduate medical and dental courses. NEET 2018 exam will be held on May 6, 2018. New Delhi: NEET examination process is on, so do the legal troubles. The Supreme Court today dismissed a petition which sought its direction to appear in NEET 2018, a national level entrance examination conducted for undergraduate medical and dental courses. According to reports, the petition was filed by a group of students, who asked age relaxation for appearing in National Eligibility and Entrance Test (NEET) 2018. They challenged a Central Board Secondary Education (CBSE) -- the official organisor of the exam -- decision which limited the upper age as 25, reported Hindustan Times. According to the NEET 2018 notification, a candidate must have completed age of 17 years at the time of admission or will complete the age on or before 31st December, 2018 i.e. the year of his/her admission to the 1st year M.B.B.S./B.D.S. Course. The upper age limit is 25 years as on the date of examination with a relaxation of 5 years for candidates belonging to SC/ST/OBC category and persons entitled for reservation under the Rights of Persons with Disabilities Act, 2016. 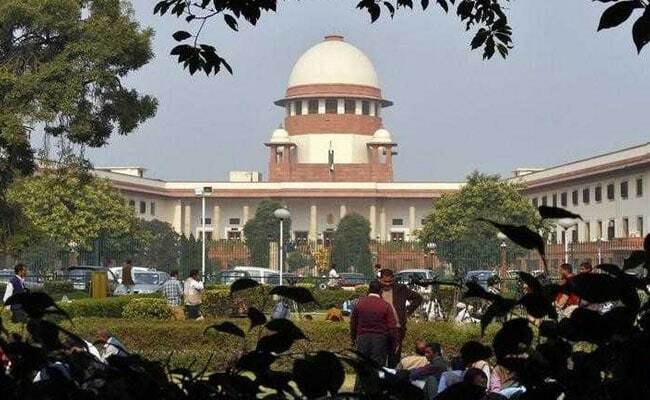 The Supreme Court on last year scrapped the upper age limit of 25 years for those aspiring to appear in the NEET, saying that the CBSE could not have fixed the age limit by way of notice on the MCI's instructions. "If the supreme court had allowed relaxation last year, why can't the MCI or CBSE follow the court order this year," an affected student who is over the fixed age limit told NDTV. Directing that all the candidates desirous to appear in NEET would be allowed to fill up the forms on the online portal of the CBSE by April 5, a bench of Justice Dipak Misra and Justice A.M. Khanwilkar had said last year, "...we, prima facie, find, such an age limit could not have been determined by way of a notice (by the CBSE) on the basis of the instructions issued by the Medical Council of India (MCI) ..."
Noting that the CBSE would be facing some difficulty, the court in its order directed then that "if the competent authority of the CBSE seeks any logistic support from the agencies for having additional centres", the District Collector or the Commissioner "will extend all the support so that the forms are accepted and the examinations are held on the date fixed..."
Last year, the court order came on the petitions seeking the quashing of January 31, 2017 admission notice that had fixed the maximum age of 25 years for NEET aspirants. The January 31 notice was issued by the CBSE on the instructions issued by the MCI and approved by the Central Government. Online registration for the exam will be open till 9 March 2018 (up to 23.50 hours).